On October 28, leaders from Spain, Portugal, and Latin American countries will meet in Cartagena, Colombia, for the 25th Ibero-American Summit. In this historic city on the Caribbean coast, the statues of the Spanish conquistador, Pedro de Heredia, and the liberator Simón Bolívar will greet the guests. Once one of the richest ports in the Americas, where Spanish galleons loaded with pillaged treasure sailed for Europe, Cartagena is now a representation of the richness of the Colombian culture, the place where the famous novel, Love in The Time of Cholera, is set. Spain, although having lost its continental possessions in the Americas two centuries ago, still regards relations with Latin America as a top foreign policy priority, and maintains strong political, business, and cultural links with Latin America. Although Spain’s economy and political influence is dwarfed by those of the United States, Britain, and China, Spain commits proportionally more resources to Latin America than any major power in diplomacy, foreign aid, investment, and cultural activities. In Spain, many people, including government officials, believe that Madrid’s relation with Spanish-speaking Latin America is a “special” one: characterized by a common language and a shared cultural history and identity. This article will cover the political, economic, and cultural aspects of the often understudied Spain-Latin America relations, and examine its positive and negative impacts. Latin America is one of the two foreign policy focuses of Spain, the other being the European Union. The Spanish government states that, “Latin America is one of the fields of action par excellence for Spain due largely to the strong ties between the two.” In an interview with Álvaro Ortega Barón, Counselor of the Embassy of Spain in the United States, he states that, “Latin America is a top priority of Spanish foreign policy due to the historical and cultural ties that exist.”* In 1991, Spain founded the Ibero-American Summit, an annual conference of Ibero-American leaders, and used the forum to promote political dialogue. 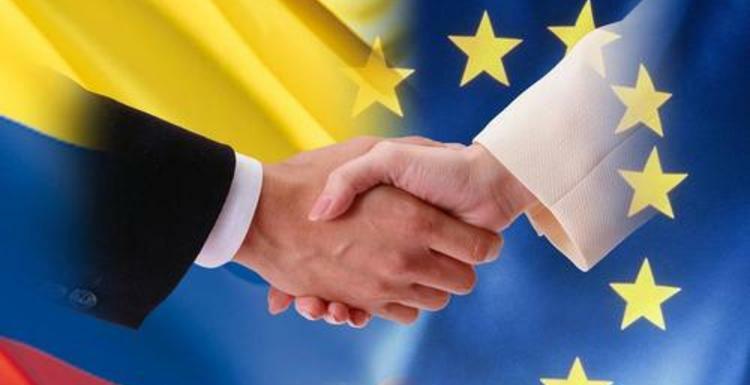 Spain also actively promoted free trade agreements between Mercosur and the EU, and became the first European nation to gain observer status in the Pacific Alliance, an emerging Latin American trade bloc in 2012. Furthermore, Spain has established embassies in all countries in Latin America, and the King of Spain and the Prime Minister frequently visit Latin American countries. This article posits that Spain’s foreign policy towards Latin America should be analyzed not through the traditional perspective of realism, but through constructivism, which posits that significant aspects of international relations are historically and socially constructed. Ortega Barón categorizes Spain-Latin America relations as “fraternal” and “familial,” a sentiment shared by many Spaniards. Like other colonial and post-colonial relationships, such as France and French-speaking countries, Spain frequently draws on an extended and complex notion of the family when referring to Latin America. Historically, hispanidad, the idea of a coherent Spanish-speaking world culturally distinct from the Anglo-Saxon world, gained prominence within Spanish society in the 20th century. With Spain as La Madre Patria (The Homeland), hispanidad assumes the preeminence of Spain in the process of achieving the common destiny of the Hispanic peoples. Today, Spain still popularizes the idea that it is part of the Ibero-American community of nations, a theoretically supranational body made up of fraternal and equal nations. Whereas no Latin American would consider himself an Iberoamericano, many in the Spanish government do not consider Spain a different body outside Latin America, but part of Latin America. This sentiment and the complex historical and cultural ties serve as an important context for understanding Spain-Latin America relations. The Ibero-American Summit, founded by Spain and Mexico in 1991, is an example of Spain’s Latin American foreign policy. It comprises the Spanish and Portuguese-speaking countries in Latin America and the Iberian Peninsula. On its official website, it states that the summit aims to “strengthen the Ibero-American community and raising its international profile” and “promote the historic, cultural, social and economic ties among Ibero-American countries, while valuing the diversity of their peoples.” Apart from the annual summit of leaders, it also promotes social programs such as scholarships for student exchange. Many critics argue that the impact of the summit is limited, especially given the divide between left-leaning and right-leaning governments in Latin America. Cuba’s President Raúl Castro has never attended the summit, and at the latest summit in 2014, the left-leaning governments of Argentina, Brazil, Bolivia, Nicaragua, and Venezuela sent deputies instead of their respective heads of government. With enthusiasm waning from some Latin American countries, the summit was changed to take place every two years, which, combined with the ongoing economic downturn and the separatism in the Spanish region of Catalonia, adds another obstacle to Spain’s engagement in Latin America. Spain’s dream of unity and leading the nations of Ibero-America increasingly seems to be mere wishful thinking. Instead of focusing on establishing a single Ibero-American community, it would be more constructive to strengthen bilateral relations with individual Latin American countries. Former colonizing nations often face backlash and accusations of neocolonialism; Spain is no exception. Hugo Chávez, the former Venezuelan president, accused Spain of a rhetoric of “colonialist cliché” in 2009. Venezuela also accused Spain of “acting like an imperial power” in 2012. In 2015, Evo Morales, the president of Bolivia, said that the visit of ex-Prime Minister of Spain, Felipe González, to Caracas was “an example of neocolonialism.” Although it is definitely true that in some cases, Spain’s presence, particularly Spanish multinational corporations, has created negative environmental and social impacts in Latin America, accusations of Spanish neocolonialism are relatively mild. Compared to the widespread anti-Americanism around the world and, to a lesser extent, anti-French sentiments in Francophone Africa, Spain has faced fewer challenges of this kind in both Latin America and the international arena. This phenomenon can be attributed to two factors. First, Spain has far less political power than other Western nations, and second, the colonial past of Spain, whose Latin American colonies gained independence in the 19th century, is more remote than that of France, many of whose colonies gained independence in the 1960s. Foreign aid has been a major component of Spanish foreign policy towards Latin America. Spain, whose economy is relatively small and still recovering from a severe crisis, does not commit as much funding in official development assistance (ODA) as countries such as France and the United Kingdom. For example, in 2014, Spain provided $1.9 billion USD in net ODA, whereas France provided $10.4 million USD. Even though Spain’s foreign aid is relatively small in size, the country dedicates the largest part of its foreign aid budget to Latin America. In 2014, 30.9 percent of Spanish ODA went to Latin America and the Carribbean, a higher percentage than any other Western country. Spanish foreign aid is managed by AECID (Spanish Agency for International Development Cooperation), which has established programs in Guatemala, El Salvador, Colombia, Ecuador, Peru, Paraguay, and other Latin American countries, as well as partnerships with the Organization of the American States (OAS) and the United Nations Economic Commission for Latin America and the Caribbean (ECLAC). In general, Spanish foreign aid has had a positive impact on recipient countries in Latin America. In Colombia, for example, Spanish aid helped victims of the long-standing guerrilla conflict access reparation and reconstruct collective memories through establishing the Museum of the Memory in Medellín, and implemented specific projects to help the Afro-Colombian community. Additionally, AECID offers university scholarships in El Salvador, Peru, and Paraguay, as well as courses and seminars in its centers across Latin America. According to Conselor Ortega Barón, Spanish aid has also led to a “recovery of cultural heritage” in Latin America. Overall, scholars believe that Spanish assistance has had a positive impact. Spain does not trade with Latin America by large volume, but nevertheless maintains a very strong economic presence in the region. In 2014, Spain only exported 6.36 percent of its total exports to Latin America and the Caribbean, and only 6.85 percent of its imports came from Latin America and the Caribbean. However, it is an entirely different picture looking at foreign direct investment (FDI). In 2014, Spanish FDI accounted for 10 percent of the total inflow to Latin America, only behind the United States and the Netherlands, whose large FDI outflow is primarily due to its heavy presence in the energy sector. Spain has a particularly strong presence in Mexico (18 percent), Colombia (13 percent), and some of the Central American economies. In 2014, a total of 19.6 percent of Spanish FDI flowed to Latin America. Given that 40 percent of Spanish FDI in 2014 went to European Union countries due to the economic integration of Spain and the EU, a fifth of total FDI can be considered a fairly large proportion. Spanish multinational corporations also have a strong presence in Latin America. Santander and BBVA, two Spanish banking groups, operate some of the largest banks in Latin America. Even as Latin American economies are slowing down, Santander and BBVA are eying to expand their businesses, whereas other multinationals such as HSBC and Citi are pondering an exit. Apart from retail banking, Spanish banks also help the Latin American government buy and sell their sovereign bonds. Besides banking, Spanish multinationals dominate various other sectors. Telefónica, the seventh-largest mobile telecommunications company in the world, operates the brand Movistar, one of the three dominant mobile services in Latin America. 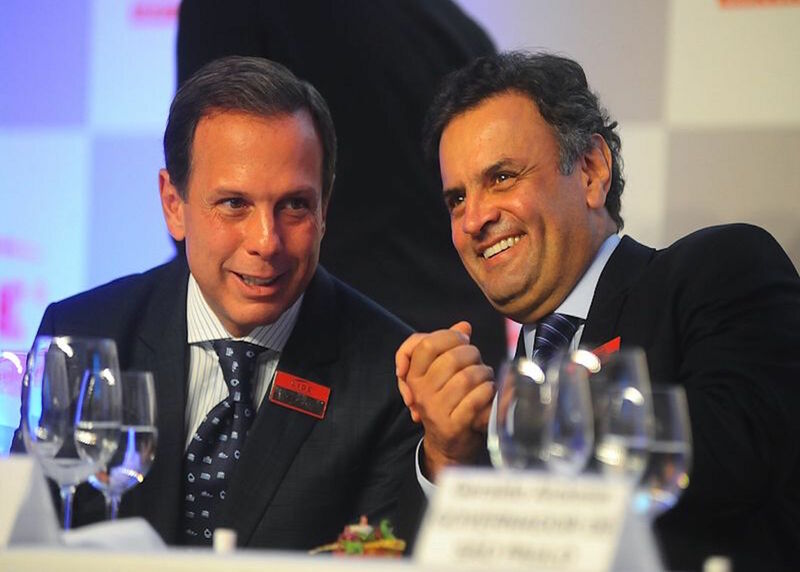 Repsol, an energy company, owns oil and gas exploration businesses in Brazil and Peru, and previously had a large stake in the energy sector of Argentina. Sacyr, a Spanish construction company, led the consortium that contracted the expansion of the Panama Canal. Overall, it is evident that Spanish multinationals have a significant presence in Latin America that far exceeds the size of the Spanish economy. The success of Spanish multinationals in Latin America can be attributed to several factors. The strong performance of the Spanish economy in the 1990s and the shared language and customs between Spain and Latin America undoubtedly promoted the initial effort. Spanish companies also conducted aggressive mergers and acquisitions in the 1990s and 2000s in countries such as Argentina, when state-owned companies were privatized and sold to multinationals under heavily discounted values. Further increasing their success, Spanish multinationals tend to focus on countries with liberal economic policies and relaxed regulations on foreign companies, such as Mexico, Colombia, and Chile, and tend to avoid “high-risk” countries such as Venezuela. Even if the idea of a “Hispanic family” that incorporates Spain and Latin America seems far-fetched, the cultural connections between the two are indisputable. A shared language has produced a common market for cultural products: movies, TV shows, music, literature, and art. Spain and Latin America share many culinary practices and dishes. Catholicism is the dominant religion in both. They are also tightly linked—non-stop flights fly to 17 countries and 27 cities in Latin America and the Caribbean from Madrid’s Barajas Airport. Spanish and Latin American artists often conduct tours across the Atlantic. In 2010, 42.5 percent of the foreign students studying in Spain were from Latin America, exceeding the percentage of those from the European Union. Spain has a number of cultural centers (Centros Culturales de España) in various cities across Latin America that promote the cultural exchange between Spain and Latin America. Counselor Ortega Barón ascertains that Spanish cultural centers in Latin America “promote both Spanish and local culture” and offer assistance such as “helping countries declare UNESCO world heritage, which can be expensive.” Those cultural centers can function as a bridge between Spanish and Latin American cultures and foster continued mutual understanding across the Atlantic. Spain also has a sizable Latin American immigrant community. Latin Americans immigrating to Spain often seek to escape the economic downturn in their home countries and gain higher wages in Spain. According to the 2006 census, 36.21 percent of the foreign population comes from Latin America and the Caribbean. Top countries of origin include Ecuador, Colombia, Argentina, Bolivia, and the Dominican Republic. Immigrating to Spain is relatively easy; among Spanish-speaking Latin American countries, only citizens of Ecuador, Bolivia, Cuba, and the Dominican Republic require a visa to visit Spain, and in the case where a visa is required, it is relatively easy to obtain compared to a U.S. visa. Consequently, the number of undocumented immigrants is relatively low; among Ecuadorians, the largest Latin American group in Spain, 61 percent have obtained Spanish passports. During the aforementioned interview, Counselor Ortega Barón asserted that, “Spanish anti-immigrant sentiment is very low compared to France, the United Kingdom or even the United States.” This statement contains some truth from a comparative perspective; No far-right, anti-immigrant party in Spain has a seat in parliament, unlike in France or the United Kingdom. However, this has more to do with the negative association with far-right parties that Spaniards have due to the memories of the Franco dictatorship than an absence of anti-immigrant sentiments. 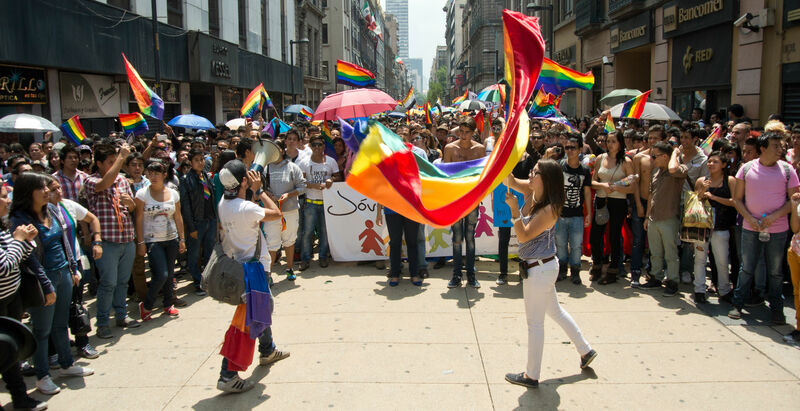 Overall, the Latin American community in Spain still faces significant challenges. 31 percent of Ecuadorians in Spain are unemployed. Xenephobic rallies of far-right parties do occur in Spain. A 2009 survey found that 58 percent of Latin Americans in Spain believed that discrimination against them was widespread. Especially during Spain’s economic recession and ongoing recovery, Latin Americans have been facing more anti-immigrant reactions because of high unemployment rates. Academics in the field of Latin American Studies tend to underestimate Spain-Latin America relations, but Spain’s influence on Latin America cannot be ignored. Spain and Latin America, even though they may never become one “family” as some Spaniards wish, will always maintain strong political, economic, and cultural links. Despite the economic downturn and separatist sentiments in Spain, Spain is never going to disengage with Latin America. To create a more positive impact from Spain’s engagement with Latin America, the Spanish government should abandon the wishful thinking of Hispanic unity and focus more on bilateral relations, increase oversight of Spanish businesses in Latin America, and improve the situation of the Latin American community in Spain. *The author conducted the interview with Conselor Ortega Barón. Featured photo: 24th Ibero-American Summit. Taken from Wikimedia. “Foreign Policy.” La Moncloa. [Spain/Spain Today 2015/ ]. Accessed June 17, 2016. http://www.lamoncloa.gob.es/lang/en/espana/spaintoday2015/foreignpolicy/Paginas/index.aspx. “Whence Causal Mechanisms? A Comment on Legro.” Dialogue IO. Accessed June 21, 2016. http://journals.cambridge.org/production/action/cjoGetFulltext?fulltextid=149074. “Spain, the European Union and Latin America: Governance and Identity in the Making of ‘New’ Inter-Regionalism.” Real Instituto Elcano. Accessed June 21, 2016. http://www.realinstitutoelcano.org/wps/portal/web/rielcano_en/contenido?WCM_GLOBAL_CONTEXT=/elcano/elcano_in/zonas_in/dt9-2002. Gómez-Escalonilla, Lorenzo Delgado. Imperio De Papel: Acción Cultural Y Política Exterior Durante El Primer Franquismo. Madrid: Consejo Superior De Investigaciones Científicas, 1992. Malamud, Carlos. “Spain and Latin America: Global vs. Bilateral Relations.” Real Instituto Elcano. Accessed June 20, 2016. http://www.realinstitutoelcano.org/wps/portal/web/rielcano_en/contenido?WCM_GLOBAL_CONTEXT=/elcano/elcano_in/zonas_in/dt58-2004#_edn3. “Who We Are.” SEGIB. Accessed June 21, 2016. http://segib.org/en/who-we-are/. “World Policy Blog.” Has the Ibero-American Summit Lost Its Mojo? Accessed June 21, 2016. http://www.worldpolicy.org/blog/2013/11/01/has-ibero-american-summit-lost-its-mojo. 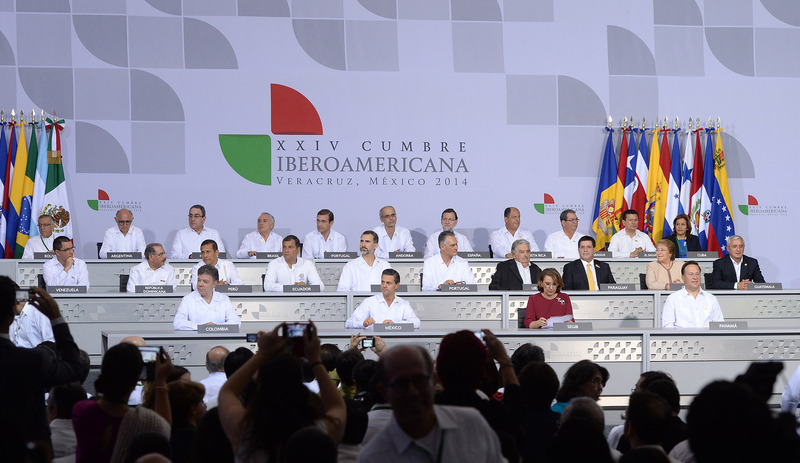 “Absences, Again, Shine at Ibero-American Summit -.” The Tico Times. 2014. Accessed June 21, 2016. http://www.ticotimes.net/2014/12/09/absences-again-shine-at-ibero-american-summit. “Elmundo.es| España.” Chvez Llega a Espaa Para ‘hablar Desde Posiciones Alejadas Del Colonialismo’ Accessed June 21, 2016. http://www.elmundo.es/elmundo/2009/09/11/espana/1252639306.html. “Venezuela Acusa a Repsol Y España De Actuar Como Una Potencia Imperial Del Colonialismo. Noticias De Economía.” El Confidencial. Accessed June 21, 2016. http://www.elconfidencial.com/economia/2012-08-07/venezuela-acusa-a-repsol-y-espana-de-actuar-como-una-potencia-imperial-del-colonialismo_293118/. “Evo: Viaje De Felipe González a Venezuela Es Nuevo Colonialismo.” El Comercio. 2015. Accessed June 21, 2016. http://elcomercio.pe/mundo/actualidad/evo-viaje-felipe-gonzalez-venezuela-nuevo-colonialismo-noticia-1817387. “Development Co-operation Directorate (DCD-DAC).” DAC Member Profile: Spain. Accessed June 21, 2016. http://www.oecd.org/dac/spain.htm. “Development Co-operation Directorate (DCD-DAC).” DAC Member Profile: France. Accessed June 21, 2016. http://www.oecd.org/dac/france.htm. “Informe Anual De Evaluación 2014.” Cooperación Española. Accessed June 21, 2016. http://www.cooperacionespanola.es/sites/default/files/inf_anual_evaluacion_resumen_ejecutivo_web.pdf. “PROGRAMA-PAÍS AECID COLOMBIA 2014 – 2015.” AECID. Accessed June 21, 2016. http://www.aecid.org.cecursos_user/publicaciones aecid/programa pais.pdf. “Where Did Spain Import from in 2014? @Atlas_facts.” The Atlas of Economic Complexity. Accessed June 21, 2016. http://atlas.cid.harvard.edu/explore/tree_map/import/esp/show/all/2014/. “Foreign Direct Investment in Latin America and the Caribbea.” Economic Commission for Latin America and the Caribbean. Accessed June 21, 2016. http://www.cepal.org/en/publicaciones/la-inversion-extranjera-directa-en-america-latina-y-el-caribe-2015-documento. “Estadísticas De Inversiones Exteriores Ministerio De Industria, Turismo Y Comercio De España – Secretaría De Estado De Turismo Y Comercio.” DataInvext. Accessed June 21, 2016. http://datainvex.comercio.es/principal_invex.aspx. “Spain’s Big Banks Show Their Commitment to Latin America.” Financial Times. Accessed June 21, 2016. https://next.ft.com/content/074cd1d0-27d2-11e6-8ba3-cdd781d02d89. “The Rise of Spanish Multinationals: On the Move in a Global Economy – Knowledge@Wharton.” KnowledgeWharton. Accessed June 21, 2016. http://knowledge.wharton.upenn.edu/article/the-rise-of-spanish-multinationals-on-the-move-in-a-global-economy/. “Telefónica.” Wikipedia. Accessed June 21, 2016. https://en.wikipedia.org/wiki/Telefónica. “Un Barco Chino Será El Primero En Cruzar El Canal De Panamá Ampliado.” EL PAÍS. Accessed June 21, 2016. http://internacional.elpais.com/internacional/2016/04/29/actualidad/1461948458_426238.html. “Citizens Could Still File Claims against Repsol.” Buenos Aires Herald. Accessed June 21, 2016. http://www.buenosairesherald.com/article/153341/citizens-could-still-file-claims-against-repsol. “Repsol-YPF Viola Derechos Humanos Y Contamina El Medio Ambiente.” Enlazando Alternativas. Accessed June 21, 2016. http://www.enlazandoalternativas.org/IMG/html/Repsol_es.html. “Infovuelos, Toda La Información De Vuelos De Aena.” Aena Aeropuertos. Accessed June 21, 2016. http://www.aena.es/csee/Satellite/DestinosEspana/es/. “El Alumnado Extranjero En El Sistema Educativo Español.” Fundación Bancaja. Accessed June 21, 2016. http://www.fundacionbancaja.es/archivos/publicaciones/ch_123.pdf. “Inmigración En España.” Wikipedia, La Enciclopedia Libre. Accessed June 21, 2016. https://es.wikipedia.org/wiki/Inmigración_en_España. “Visa Policy of the Schengen Area.” Wikipedia. Accessed June 21, 2016. https://en.wikipedia.org/wiki/Visa_policy_of_the_Schengen_Area. “La Mayoría De Ecuatorianos En España No Planifica Volver Al País.” El Universo. Accessed June 21, 2016. http://www.eluniverso.com/noticias/2015/11/04/nota/5222831/mayoria-ecuatorianos-espana-no-planifica-volver-pais. “Los Latinos Son Quienes Más Se Quejan De La Discriminación En España.” El Espectador. Accessed June 21, 2016. http://www.elespectador.com/articulo137135-los-latinos-son-quienes-mas-se-quejan-de-discriminacion-espana.